IDADA presents the First Friday Art Tour, featuring 39 downtown venues. 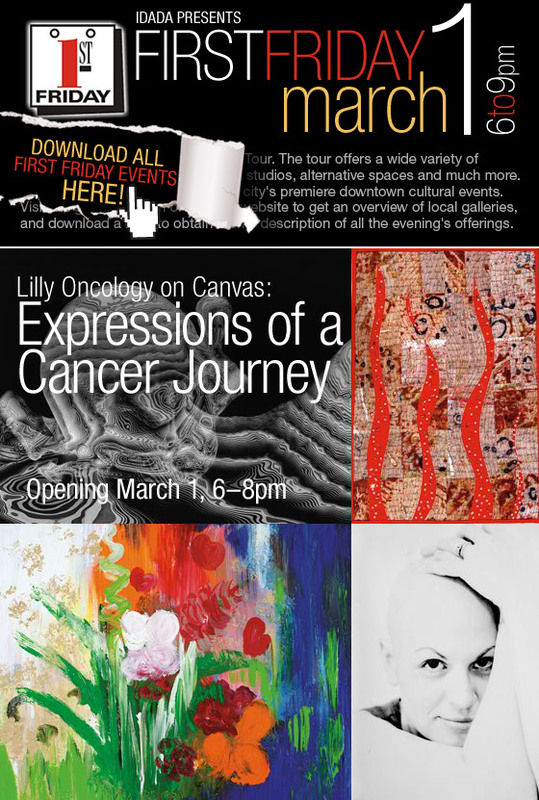 This Friday, you can view "Lilly Oncology on Canvas: Expressions of a Cancer Journey" at the Artsgarden. Then join guests at The Alexander CityWay to "Experience the Art Carouse at Plat 99." Last, but not least, complete the evening with extraordinary images from artist Rad Drew during the Open House at New Day Meadery.